Does explorer have an image editor? HTC EXPLORER:some one told me the button from which u lock ur mobile it dosent work well after sometime so its alternative is on the screen the 2 sencers so how to activate that locking system ?? A.J, 23 Oct 2012Gonna buy htc explorer. plz guide me. would it be gud phone for me?? ?Its simply very much worth the price...my condition was to but a smart phone around for Rs.10000....my necessities were too many ! !...my final short list was explorer, tipo, galaxy ace duos or desire c with slight high budget..but now after using the explorer i'm very much satisfied on my selection. LOW internal memory : if u r smart u can pull most of it.!! who cares i have 72 apps now,,,yes!! (30 in phone mem 42 in sd card) still some apps and games( a lot) are kept as back up which can be installed and used when req..
camera:not bad at all.just forget in night. Finally the processor which i really under-estimated teaches me that never go behind too much on the specs. in reality its just awesome in multitasking. (my must have apps list:)1. any document viewer ,adobe reader is best for pdf. 2.MX player- no video conversion worries. 3.Bluetooth explorer-must as the files will be only received in phone memory by default.this app will move to card. 4.Back up restore -to overcome low phone memory. 6.Equalizer- even the default headphones came in the box produces the good bass thump. its apt for the HTC tagline,,"quietly Brilliant"
Gonna buy htc explorer. plz guide me. would it be gud phone for me??? so is there any solution for it? i am planning to switch to the smart phone segment. have decided to buy the explorer as i dont want to spend too much at this point. 1.the internal memory is 90 or 110 MB? how many apps can i run smoothly? 2.is rooting a good idea? cause it can get the phone bricked! 3. how decent/bad is its battery back up? with all moderate usage? 4.does the camera give blurred pics with the slightest of shakings(like my previous sony ericsson ZYLO)? 5. how good is the sound quality with headsets as the box doesnt have one. 7.last but not the least does htc have a good support(which i wont have a doubt with nokia or samsung)? thanks users for ur replies! 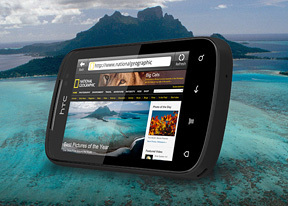 I used HTC explorer and I am very much happy to perches HTC excellent performer . Plz tell me about software update of this phone ....is update is available or not ? How to make personal folders in mobile. Phone is good, never had a prob with it expect memory shortage and Battery back-up. So on an avg it was a good exp. bharath, 07 Jun 2012Nice phone...but some apps doesn't run properly and shows force close.... That might be because the aaps you are talking about may have some bugs in them. Ask the developer to fix. It is not a problem of the phone. If *ALL* apps force close, consider restarting your phone . If the problem is not solved, reset your phone. Using explorer for last 2 months. Pleased with the performance. Perhaps the best in range when considered its looks and features. The only disappointment was the charging chord stopped functioning and its not covered under any warranty and HTC does not have service stations in many prominent cities.